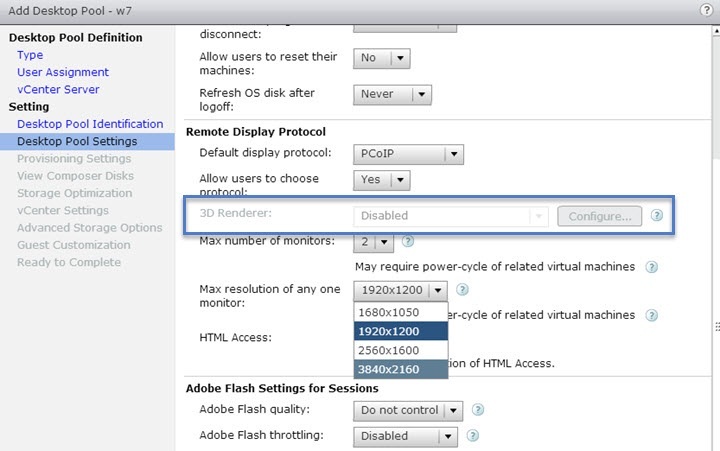 In this post we will cover some protocol settings, GPOs, Flash and 3D rendering etc. VCP6-DTM Objective 2.3 – Configure PCoIP/RDP Protocol Settings, is another chapter, another objective towards the VCP6-DTM certification exam. Considering the recent announces about Horizon 7 I believe that the exam’s topics and objectives will get modified accordingly in the future. But for now this is not the case, and we just stick with what’s on the official VMware blueprint, covering the VCP6-DTM exam. Lets continue and clear out another topic today. HTML access (VMware Blast) allows access with any client without the need to have previously installed the view client application. Just inside a browser. 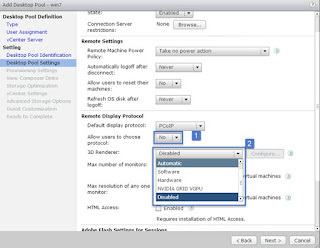 During the installation of Horizon View connection server, the HTML access is an installation option (checked by default) and the installer configures the VMware Horizon View Connection Server (Blast-In) rule in Windows Firewall to open TCP port 8443, used by HTML Access. Blast connections however limit the number of simultaneous connections for one connection server to 800 (it’s 2000 simultaneous connections for PCoIP). Check the image below from the View Architecture planning PDF. The Remote Experience Agent must be installed in the View Desktop. Install this feature in the parent image, and recompose the pool to ensure all View machines have this installed. In the View Administrator page, edit the pool settings and ensure that the maximum resolution of any one monitor setting must be 1920×1200 or higher so that the View desktop has at least 17.58 MB of video RAM. 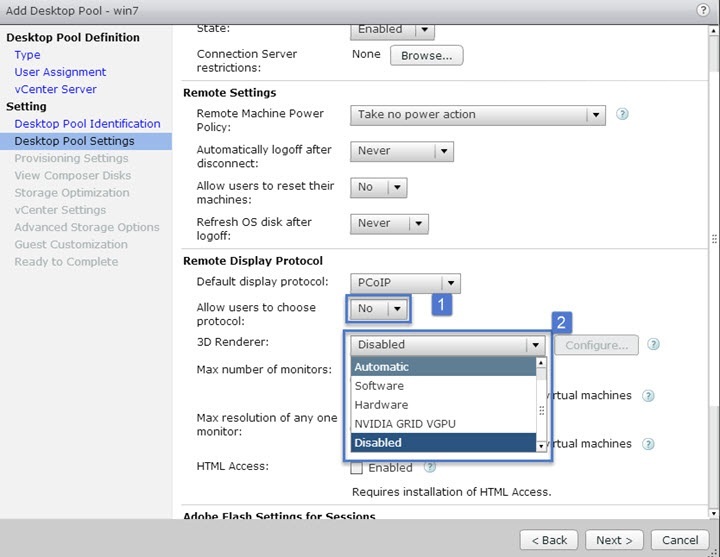 The HTML Access setting must be enabled within the pool. You must install the HTML Access Web Portal on the View Connection server to enable the HTML Access functionality. For more information, see the Horizon View HTML Access document. View PCoIP Session Variables (pcoip.adm) – Contains policy settings related to the PCoIP display protocol. View PCoIP Client Session Variables (pcoip.client.adm) – Contains policy settings related to the PCoIP display protocol that affect Horizon Client for Windows. There are quite a few values which can be overridden, through those adm templates. Those are quite self-explanatory. I’d invite you to go through one by one, and see by yourself what options are there. Flash config affects frame rate of flash content. Here you can control the bandwidth and quality of the movies. Hardware – The virtual machine must have access to a physical GPU. If the GPU is not available, the virtual machine cannot power on. Software – The virtual machine’s virtual device uses a software renderer and will not attempt to use a GPU, even if one if present. Automatic – The default setting. The virtual device selects whether to use a physical GPU or software-based rendering. If a GPU is available on the system and has the resources required by the virtual machine, the virtual machine uses the GPU. Otherwise software rendering is used. If you choose “manage using vSphere client” then you have to specify the amount of memory through vSphere web client. When you create or edit a virtual machine, you can configure 3D graphics to take advantage of Windows AERO, CAD, Google Earth, and other 3D design, modeling, and multimedia applications. 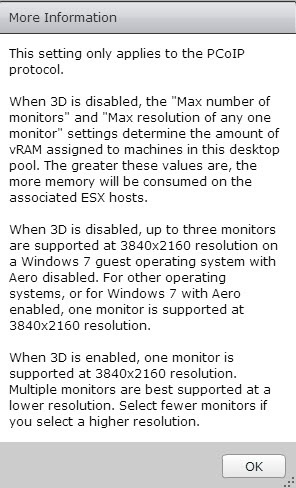 You can enable 3D on virtual machines that have Windows desktop or Linux guest operating systems. Not all guests support 3D graphics. 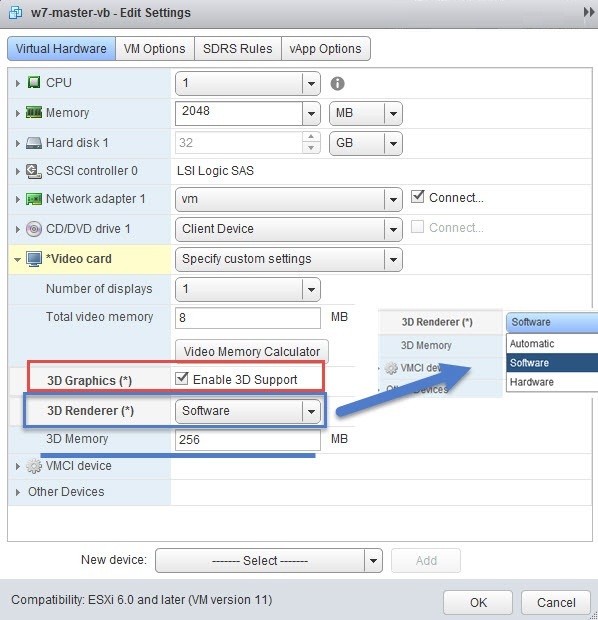 To verify 3D support for a guest operating system, see the VMware Compatibility Guide here. Linux distributions must have a 3.2 or later kernel.